Website owners and content creators are typically seeking two important things from advertisers that display ads on their web properties. The problem is that many content publishers don’t know how to directly influence or attract this kind of advertising. 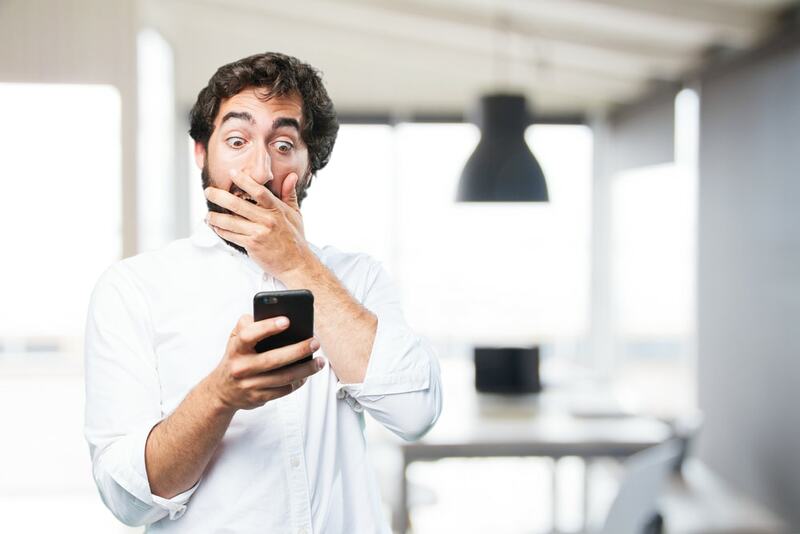 Outside of trying to sell direct deals to advertisers themselves (costly, and often requires sales teams), online content creators often don’t understand that the ads that show in display ads on their website can be directly influenced by actions and behaviors that they themselves control! 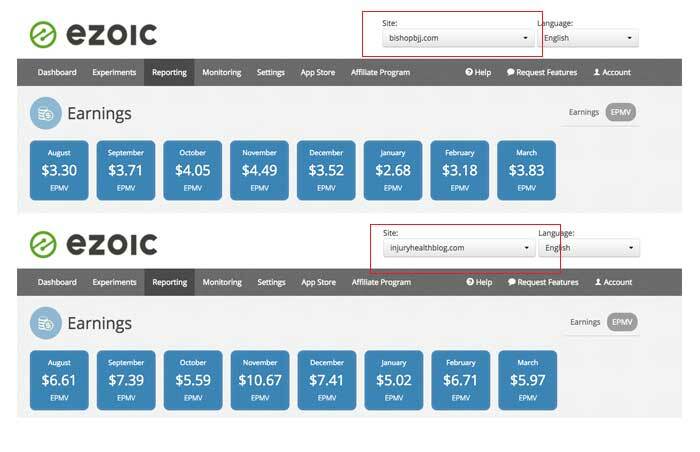 Below, I’ll show you how to control and improve the quality of competition for your ad inventory (space on your website for advertisements) using several different strategies. These three factors work together to ultimately determine the quality of advertisers on your web pages and the prices they pay to advertise on your site. Also, when I say quality, keep in mind that I’m really talking about competition among those interested in targeting your audience. This is what you want. You want good advertisers (think brands), with strong budgets, that all want your space and are forced to bid against each other for spaces open your website. 1.) What audiences are high-value advertisers interested in? So as mentioned above, your audience makes a really big difference when it comes to the type of competition that is created for ad space on your website. For example, I currently own two very different websites with very different audiences. 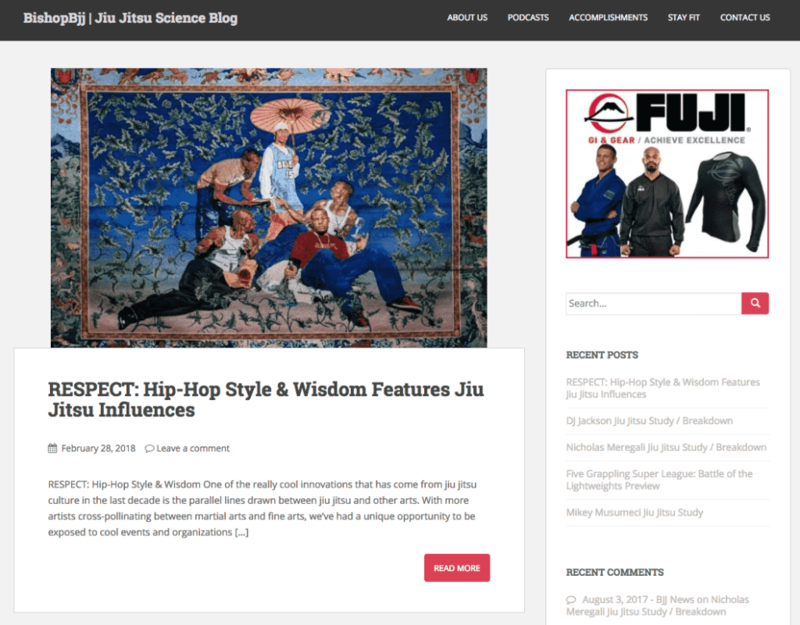 One is a blog on Brazilian Jiu Jitsu, the other is an informational website dedicated to a broad series of topics on health and fitness. Naturally, the audience interested in my health and fitness website is much broader than the audience that visits my Brazilian jiu jitsu blog. For this reason, my health and fitness website earns a higher EPMV. That doesn’t mean my jiu jitsu blog is destined to make far less than the health and fitness website (although it is not going to start with the same inherent advantages), but it does mean that the competition for that inventory is going to be higher by default. If you’re reading this to figure out what kinds of niche sites have the highest value for advertisers, this is not the blog for you. This info is for content creators that already have sites and want to increase the value of their current ad space. One of the things people often miss when evaluating their audience is the data right in front of their face. It’s easy to throw your hands up in the air and say, “my Brazilian jiu jitsu audience just isn’t all that valuable to advertisers”. However, these things aren’t like the weather. They can be controlled and adjusted. Inside of your own website, there are likely wide variations in the types of content that advertisers are interested. Certain visitors may have a specific demographic that a larger number of advertisers are interested in, or a type of content on your website they deem more valuable. For example, I have a page on my Brazilian jiu jitsu blog highlighting my experience training jiu jitsu without an anterior cruciate ligament (ACL). This post has an EPMV as high as any EPMV on my health and fitness website. The audience on this page largely comes from organic search, spends lots of time on the page, and may be more attractive to a larger group of advertisers due to the contextual nature of the content itself. Understanding what page content on your site is currently attracting the highest value advertisers is the first step towards creating more content that generates competitive advertiser demand. This is different from understanding which sessions actually drive the highest earnings on your site. We talked about how to identify some of these website value metrics in a previous post. Using detailed analytics, you should be trying to understand which of your pages are currently generating the most revenue. This will give you a contextual idea of the types of content that are actually generating high revenue. However, it is much better to understand which sessions are actually generating the most revenue long term; thus you should be looking at landing page EPMV (earnings per thousand visitors) in combination with any RPM metrics you can slice up. 2.) Understand which landing pages generate the most revenue per session (i.e. all the RPMs of all the pageviews in a session added together). 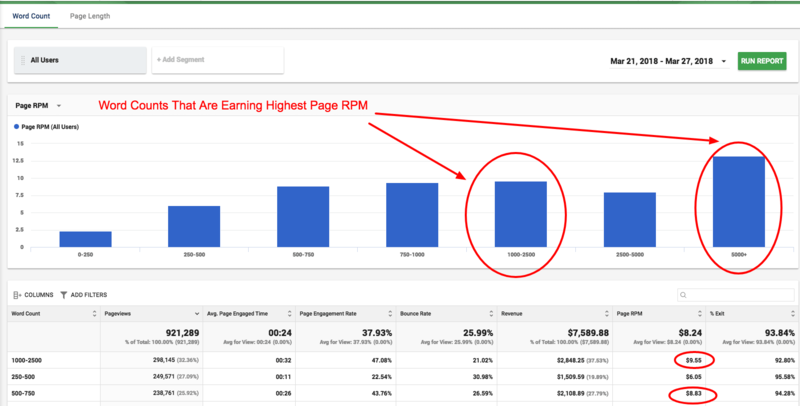 Understanding which pages generate the highest RPMs will tell you which content is potentially the most competitive among advertisers; while understanding landing page EPMV will help you better understand which pages your highest earning session are originating on. You can use both pieces of info to build new content, modify old content, and improve everything from SEO to ad revenue. Big Data Analytics is a free tool on the Ezoic platform that will allow you to automatically calculate and view both of these metrics. I recently spoke at Google about this exact subject. In fact, I did it all in the context of what NOT TO DO. Essentially, what we’ve learned from thousands and thousands of websites — running over long periods of time — is that most publishers, website owners, bloggers, and content creators are devaluing their ad space over the long-term by showing too many ads or misunderstanding how certain types of ads may dilute the value of other ad spaces on their websites. “Over-monetization” is a real issue. Showing “lots” of ads isn’t objectively a bad thing on its own; however, you DO NEED to objectively understand how ad density, ad types, and ad placements affect the value of other ads on the page. We’ve built sophisticated machine learning around this to help balance all of these things together along with user experience metrics like bounce rates and session duration. And, what we’ve learned from experimenting with this technology and split-testing to static ad setups is that ads massively impact other ads. Unfortunately, if you are showing visitors too many ads — or the wrong types of ad combinations— it may slowly dilute the value of that ad space over time to advertisers. Imagine you have two billboards right next to each other on the highway. The maximum you can charge to rent those billboards may be $500 per billboard. Now, let’s pretend you have another location with only one billboard. The maximum you might be able to rent that billboard for may be $ 1,100, why? Because that one billboard is the only one in that location. All the businesses local to that area may want it. This means that the demand for that ad space will be higher, and it doesn’t have to share audience attention with another advertiser right next to it. Finally, let’s pretend that you have a 3rd location with 3 billboards — but they are spread out across a much larger area. The maximum you can charge per billboard in this area may be $600 per billboard. 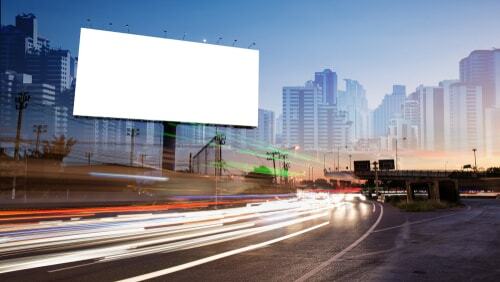 The distance between the billboards and appeal of the location may make it a place that is more attractive to advertisers despite the larger amount of ad space available. Three locations, three different levels of demand, and three different prices for the space. If you have ad space on your website, the value of it is going to be partially determined by the amount of space available (remember, think supply and demand). 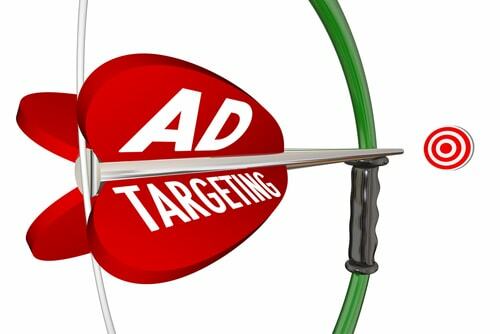 If demand is high, you will have to figure out what ad treatments drive the best total price. This is different for every page AND EVERY VISITOR. This is why showing the same ad combinations on all pages and to all visitors is bound to produce sub-optimal ad rates long-term; and why we see dramatic improvements in ad rates when visitor segmentation is used. Hopefully, the lesson above does a good job outlining the answer to this question. Yes. Sometimes adding more ads to pages will make revenue go higher; however, it can be driving overall ad rates on that page down too (more supply than demand). It could also be causing higher bounces; reducing total EPMV. This is because bouncing users don’t go on to visit other pages which could also have ads on them. The ideal scenario is to show as few ads as possible while delivering visitors an engaging experience that maximizes their session length and number of pageviews visited. At the same time, you want to make sure the ad space you are making available is generating the maximum amount of value to advertisers. The best way to do this is by testing. Testing to see how visitors respond to different ad combinations and densities (check bounce rate and engaged pageviews per visit to pick winners). You can also test Page RPMs to see how big the page RPM difference is between, let’s say, 7 ads as opposed to 10 ads. The difference may be small, but you may see that bounce rate is 2x higher with 10 ads. This is a great way to test ads for all these things automatically. 3.) 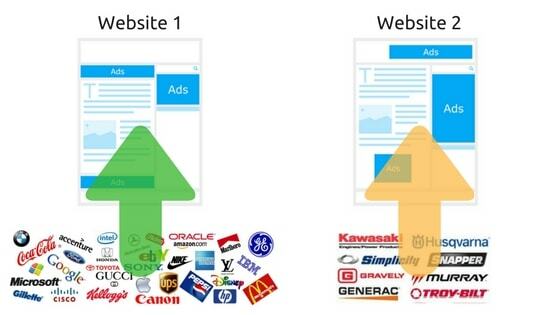 Where do good quality, high paying advertisers come from? The sources of ad demand do play a role in both the amount you’re property is paid for its ad space and the quality of advertisers your visitors will likely see. Remember, ad targeting is contextual. This is why it is so important to not “freak out” because of certain advertisers that you or someone else may see on your website. For example, if I discover that someone saw a ballet shoe ad on my jiu jitsu website, I might say to myself, “Oh no, this ad isn’t relevant to my audience”. However, if that visitor had been shopping for ballet shoes for their daughter beforehand, it may be the most relevant ad they could get. Basically, most all programmatic ads are contextual and its really important to look past that when thinking about quality advertisers; as this is determined more by your individual visitor’s behaviors. However, there can be issues with bad ads. The entire industry is plagued with these types of problems. We talk about dealing with those issues here. What you ultimately want to look for are demand sources that are likely accessible and used by a large volume of quality advertisers in a competitive environment. This is why access to things like access to Google’s Ad Exchange (and in some cases even access to products like AdSense) are coveted by many publishers. This isn’t an overnight optimization that takes place. 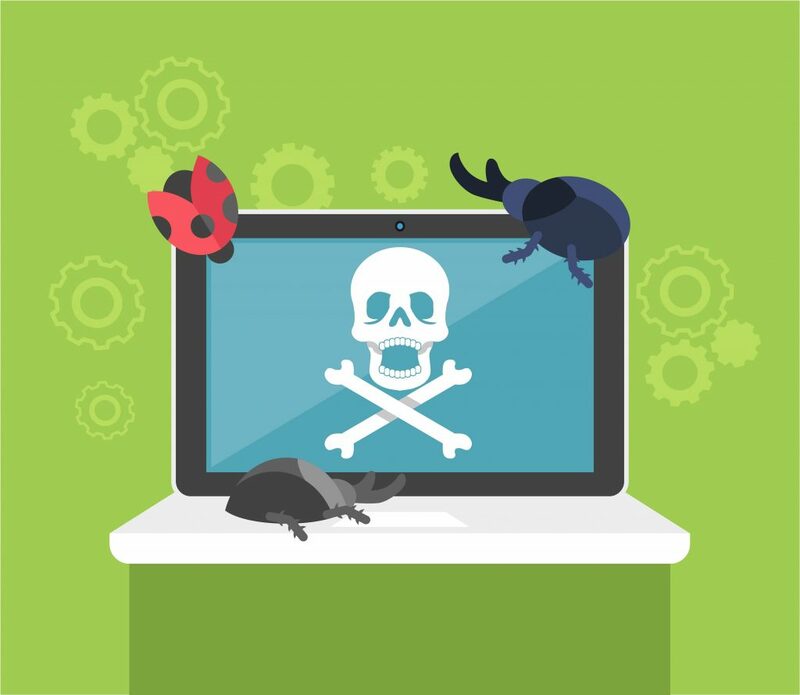 It’s almost impossible to increase the ad rates, quality of advertisers, and user experiences on your website without thorough testing. It’s also pretty much impossible to deliver the same ad combinations and treatments to every page and every visitor and expect to achieve a full-level of optimization (this often makes a 100-200% difference). Understanding and educating yourself about how these things work together is the most important step to making these improvements. Content really matters. Thanks for sharing the tips to attract more advertisers on site! Wow… You explain it very clear thanks! I am planning to put 10 or more + ads in my blog, but after reading this… I realize that yeah, Quality is more important.